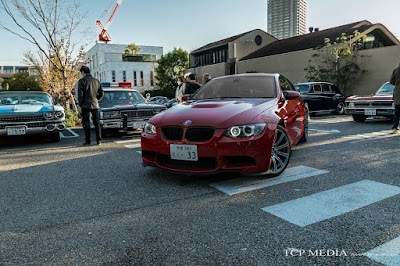 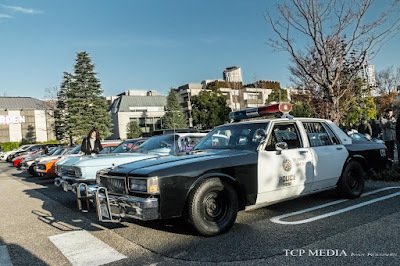 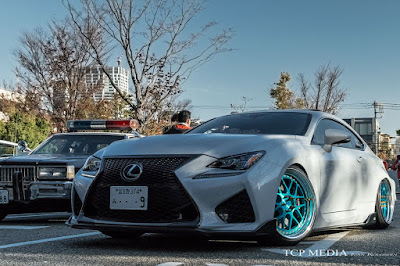 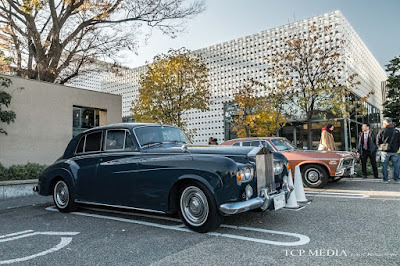 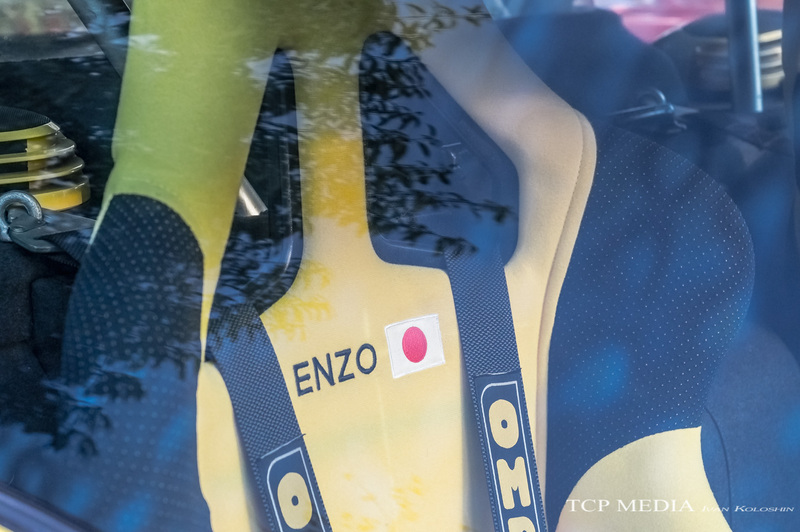 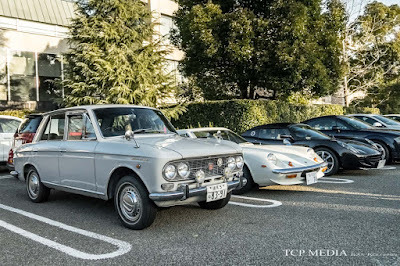 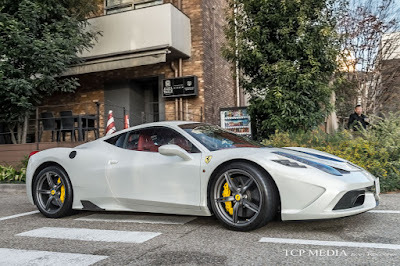 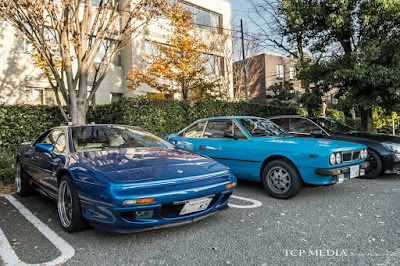 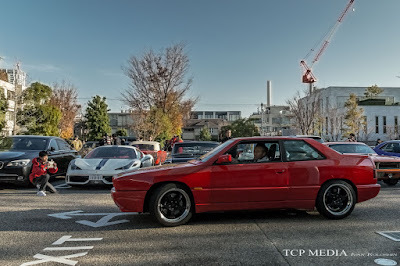 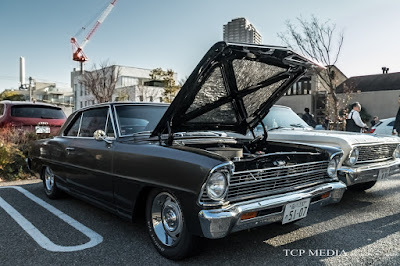 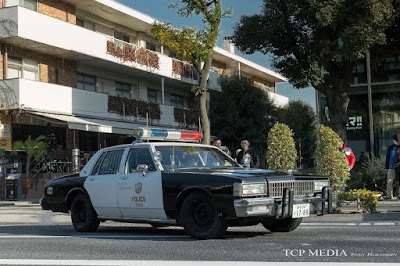 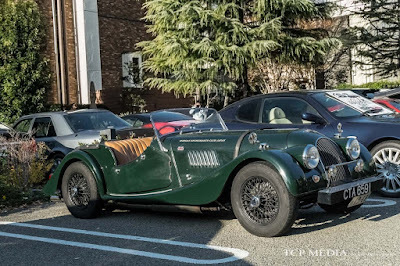 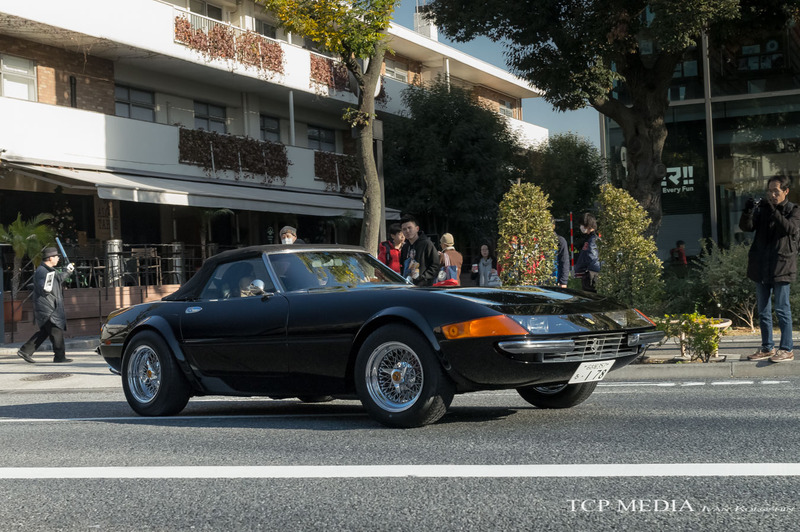 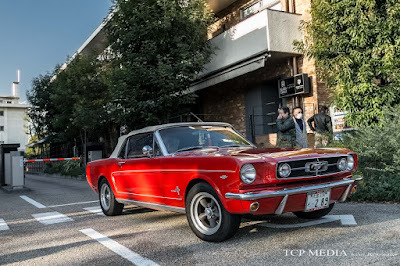 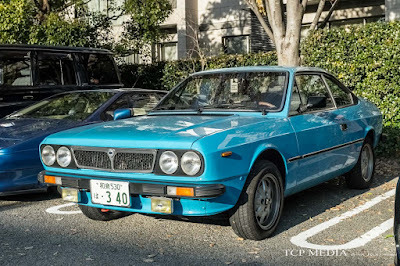 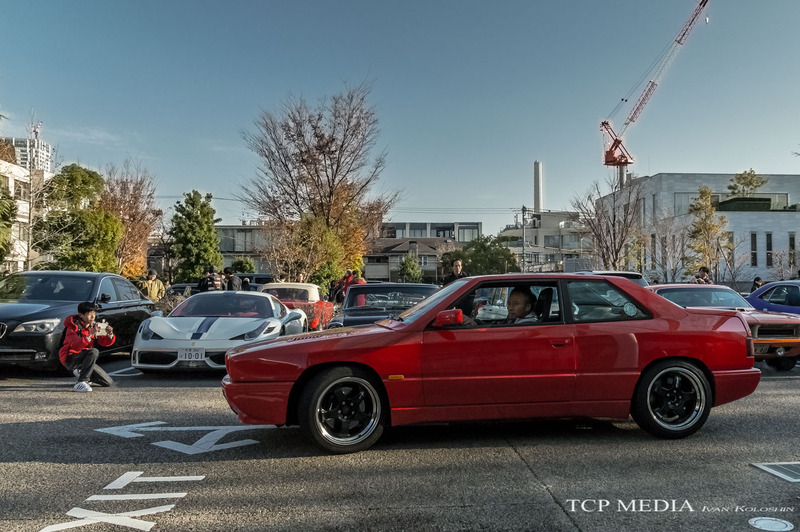 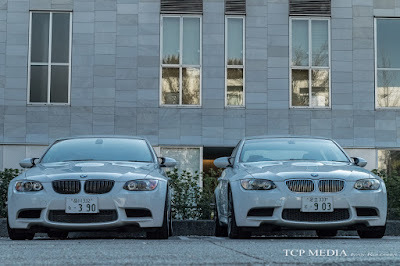 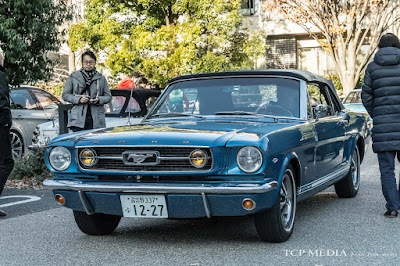 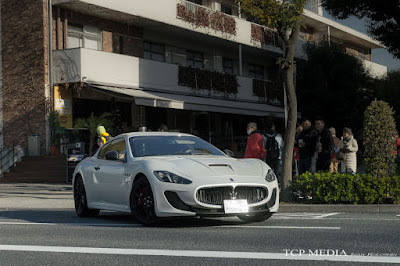 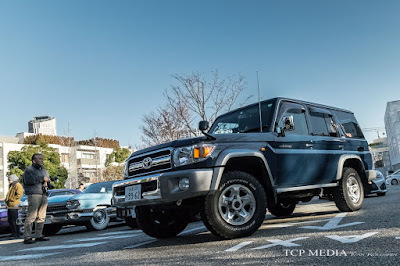 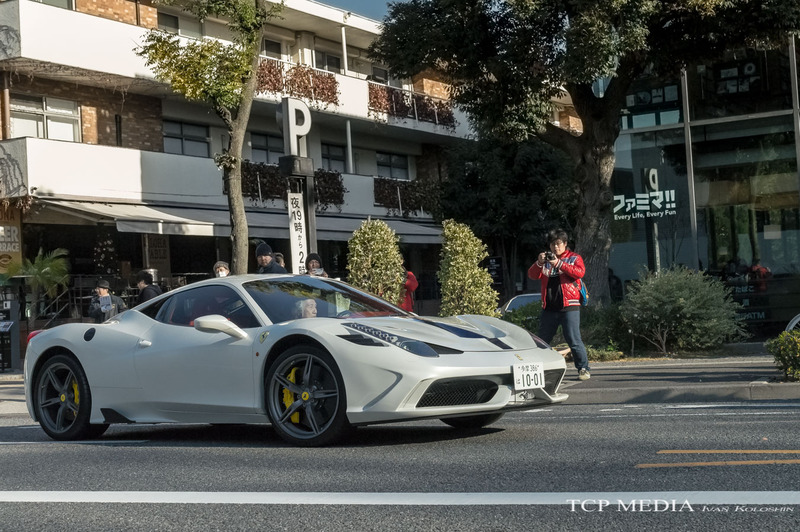 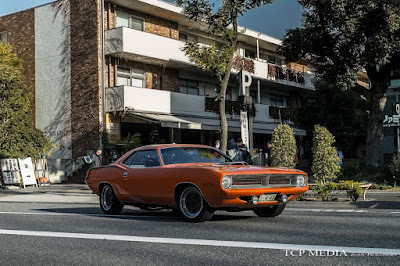 Many times I would visit the Daikanyama Cars and Coffee only to find that their monthly theme would have nothing to do with my car or frankly speaking, any cars worth capturing. 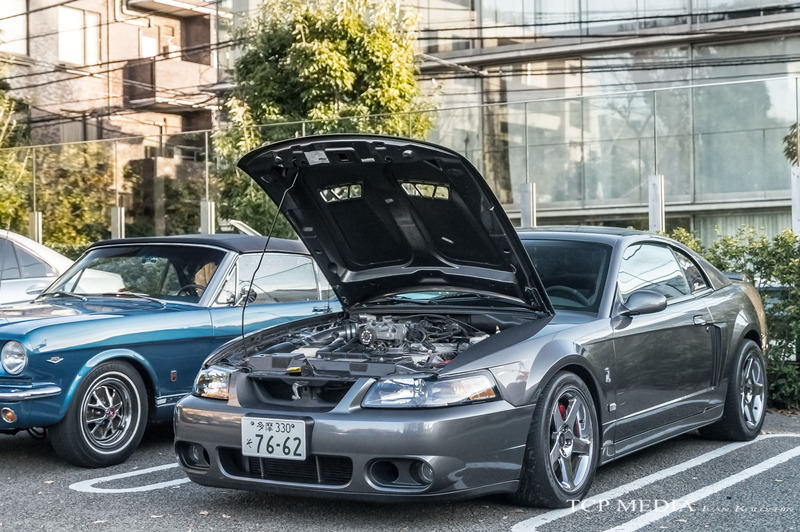 Today was one special day when what's under the hood mattered most, as the theme of the day was V8! 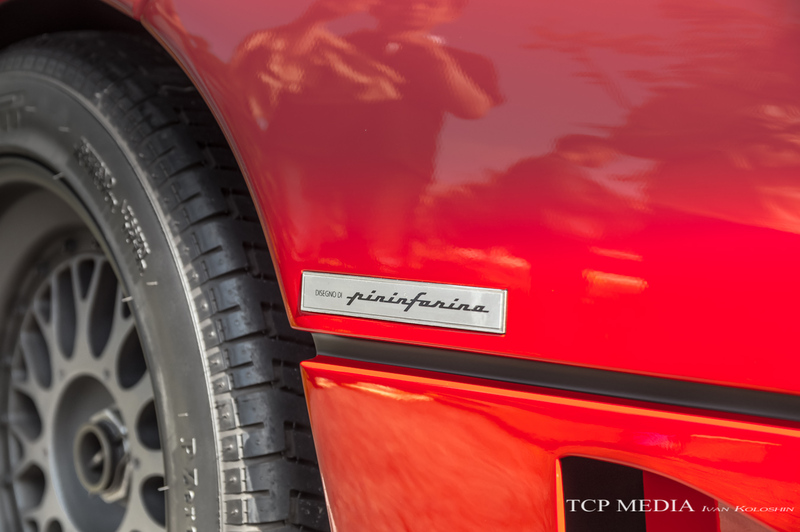 As soon as I saw the invite on social media, I knew that this would be something rather special. 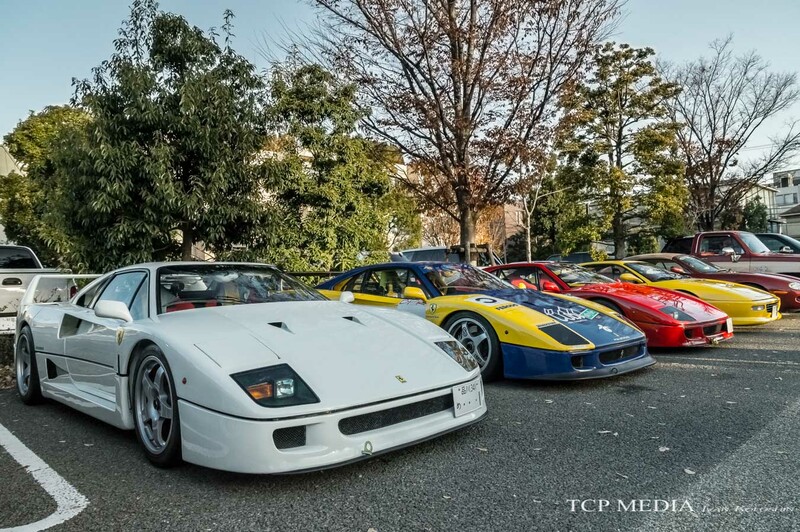 And "Special" was an understatement as I arrived bright and early to be greeted by total of 4, yes FOUR!!! Ferrari F40's! 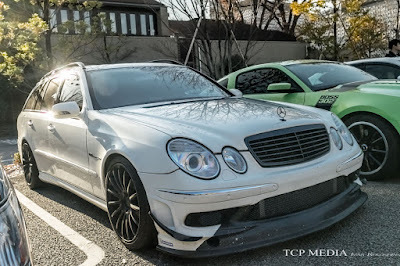 Mixed with some Corvette's ...and AMG's; and speaking of "special"
What a start! 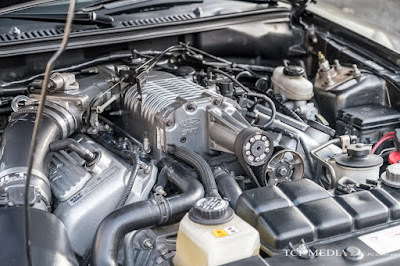 But what makes V8 engine so unique, so much desired and worshiped by automotive fans and manufacturers alike? 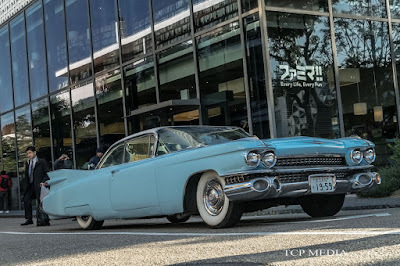 Ever since this configuration appeared in power boats and aircraft, followed by first application in a car by Cadillac it was associated with performance and luxury. 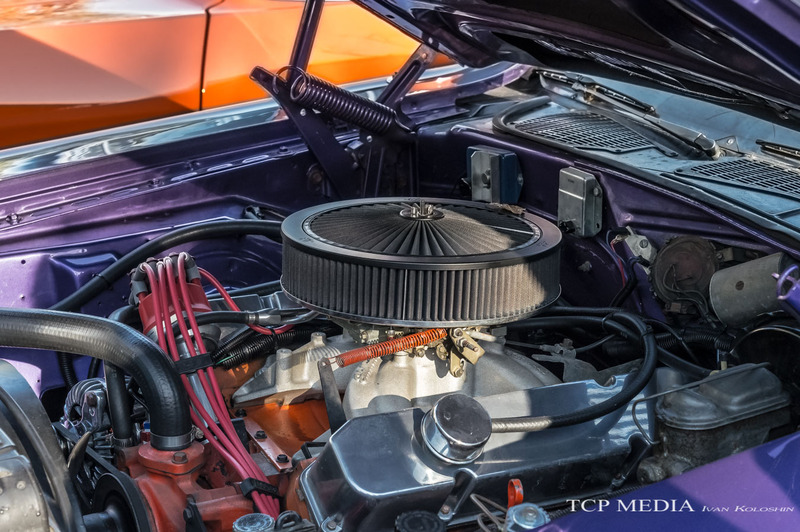 Ford introducted the engine to the masses and the trend took off. 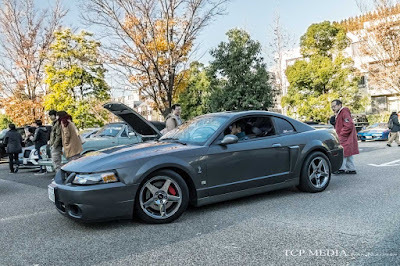 Do to the engine's popularity across all continents the lot was filled to capacity in just 30 minutes after opening, and we could see cars that represented all corners of the world. 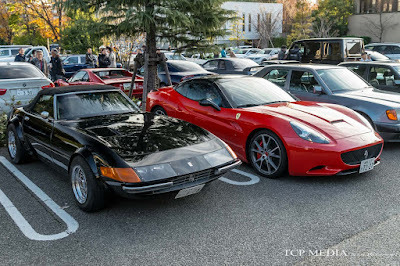 Starting with yours truly, and a friend. 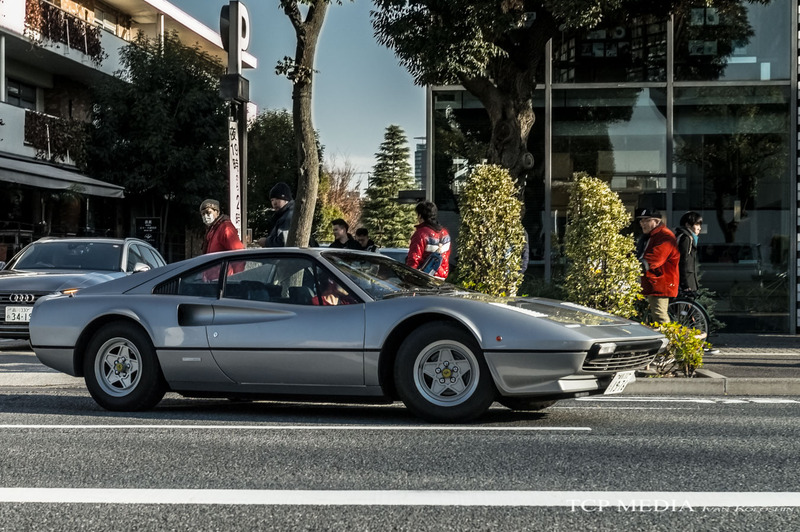 We managed to get in early and after some reshuffling secure a nice spot for the crowd to admire some of Germany's finest engineering. 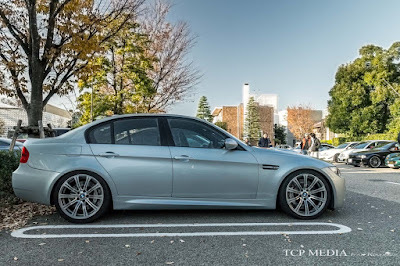 This silverstone E90 M3 looked stock to unterained eye, but closer look revealed Stoptech big brake kit, lowered suspension, racing bucket seat and Advan Neova tires. 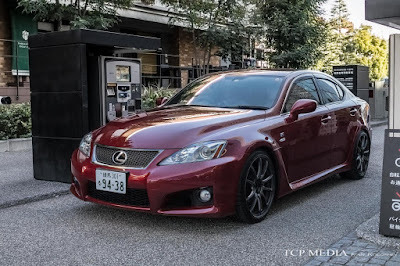 Undeniably, this four door grocery getter is one heck of a track toy! 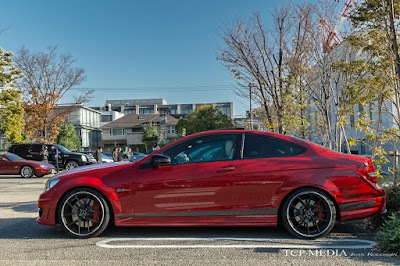 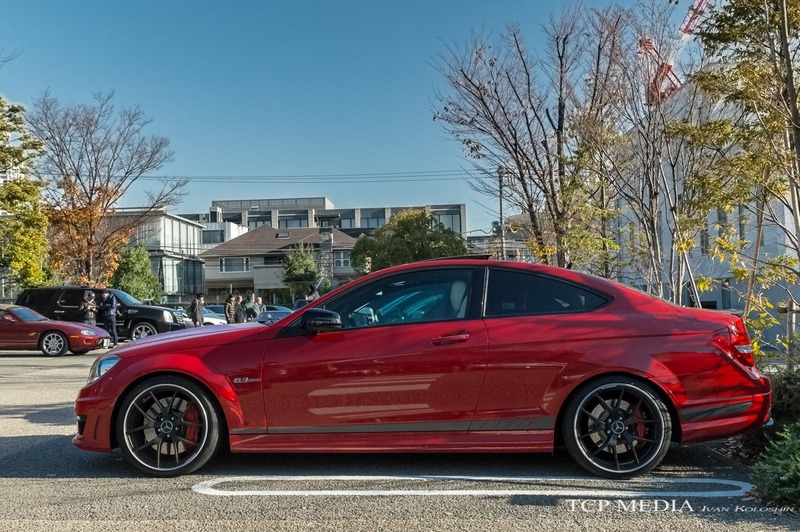 Another red German V8 coupe was this C63 AMG. 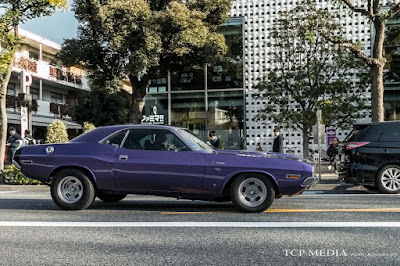 Truly the God of Thunder! 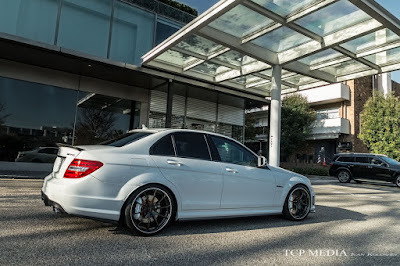 When it comes to small car big engine combo the W204 C63 was the epitome of making the impossible possible. Despite being sold in such large numbers this little torque monster is a future classic. 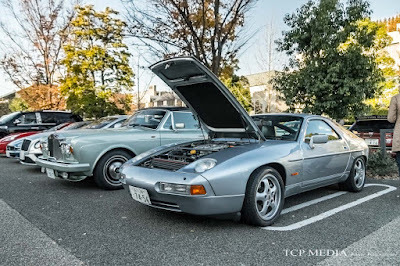 The 928 was one of the most unique in Porsche's lineup due to being a heavy luxury cruiser rather than a true sports car. 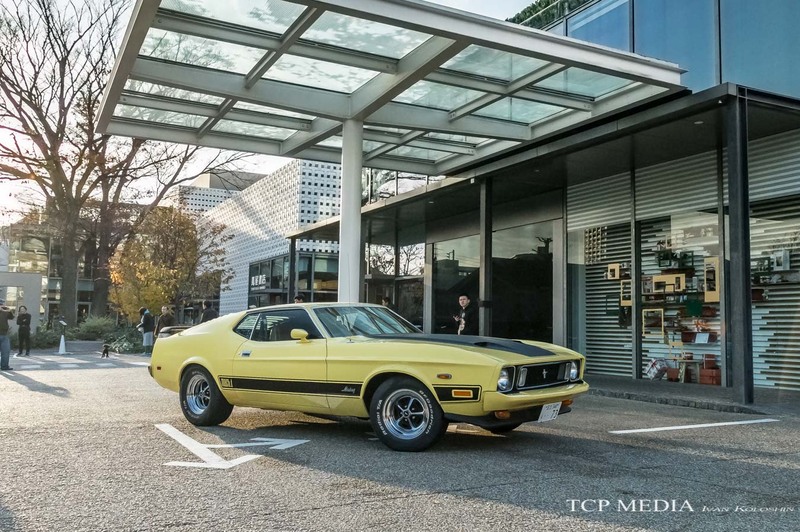 But on the flip-side, just let this sink in: the car was introduced in 1977 and it was so much ahead of its time, they kept producing it for 18 years! The Normally Aspirated 5.0L V8 in the RCF is anything but eco friendly. 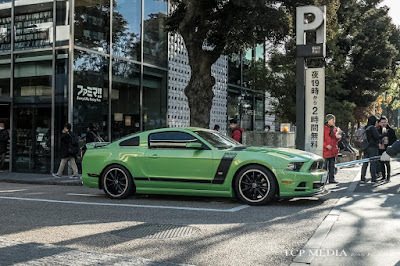 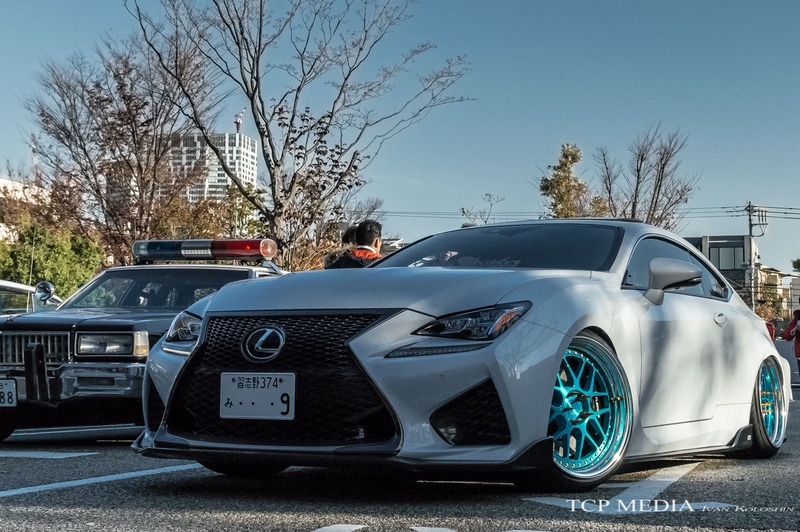 The muscle car from Japan is proving to be extremely popular with Japanese tuners. Reality is that you can't have a proper V8 meet without a nice collection of American cars. 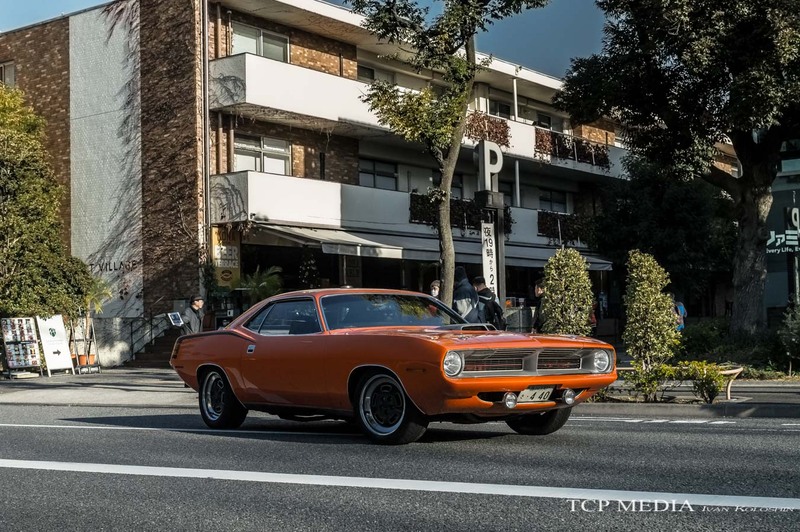 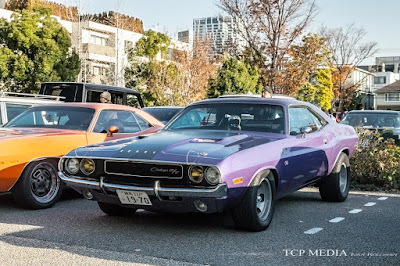 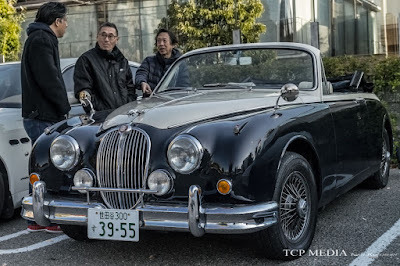 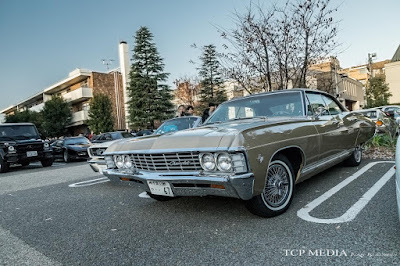 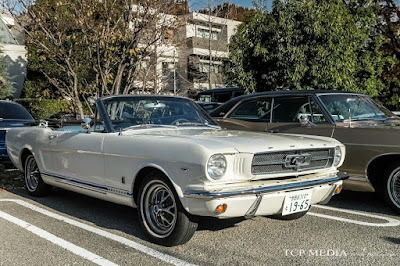 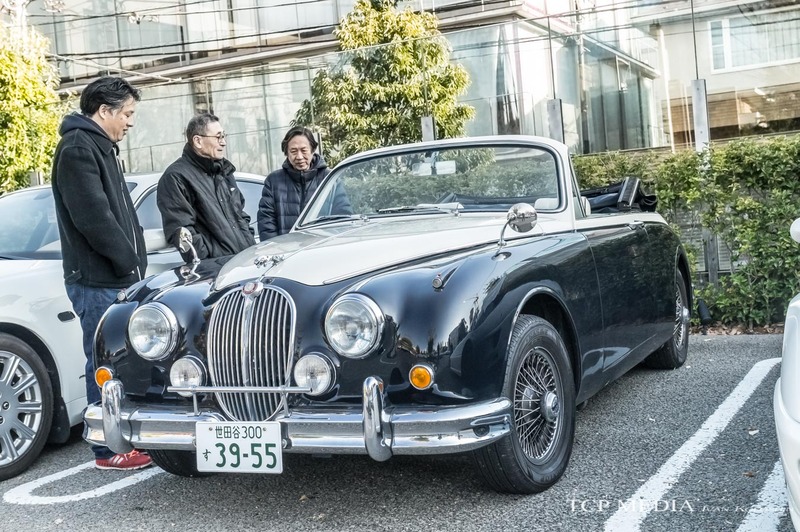 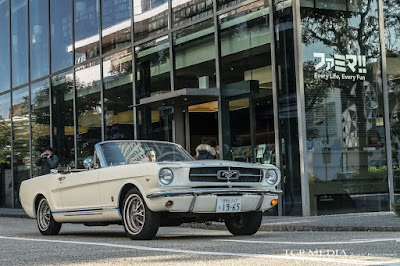 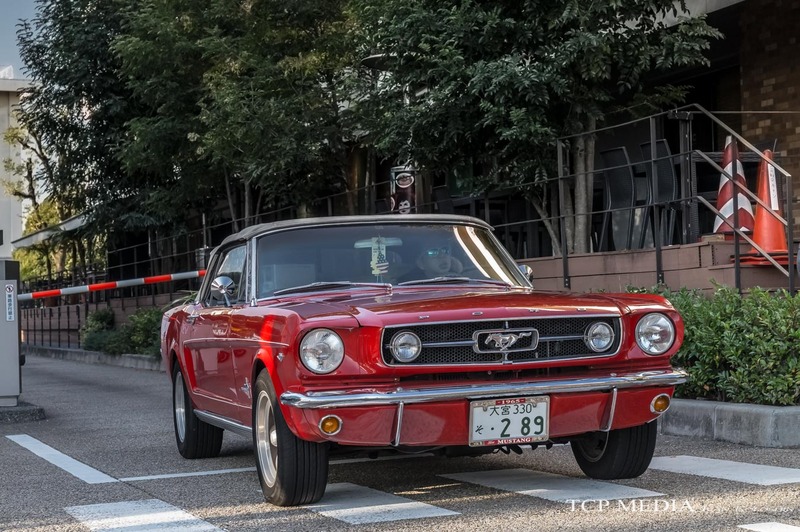 Owning a classic American car in Japan is a luxurious endeavor. 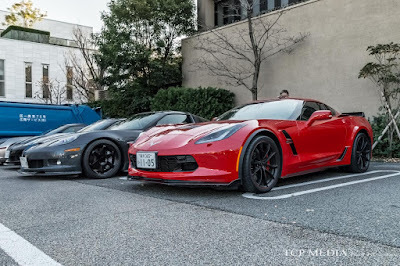 Costs associated with additional taxes, expensive fuel, regulatory inspections, oversize parking spaces and lack of spare parts can drive any checkbook into the red, but when we look at these cars we can see that these people have passion, and with passion, none of this financial nonsense matters. 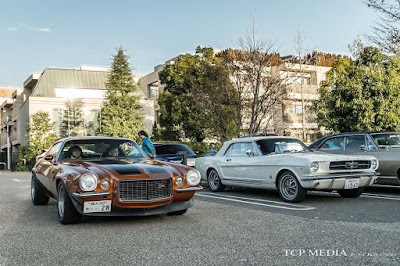 This is why majority of American classics are this far off from their stock form. Performance of the V8 engine has been beefed up via addition of high flow air filter and Edelbrock headers. The Challenger's interior was in its stock form but looked clean and almost brand new. 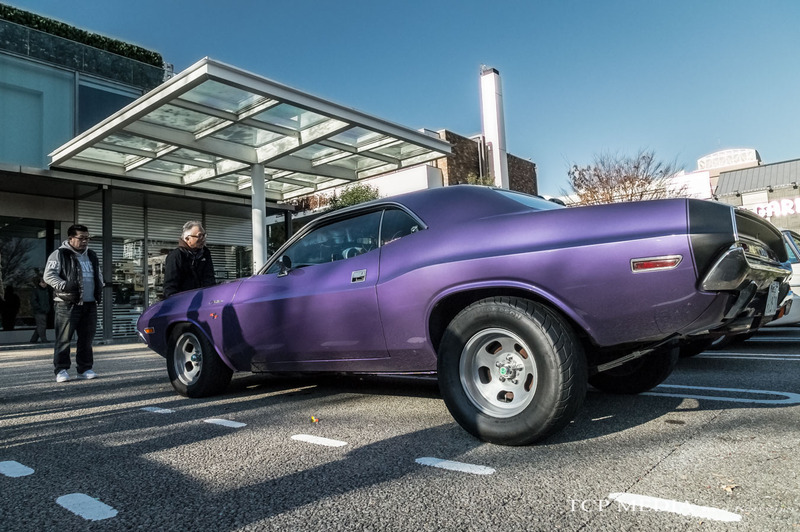 What a fantastic job by the owner to maintain this car! 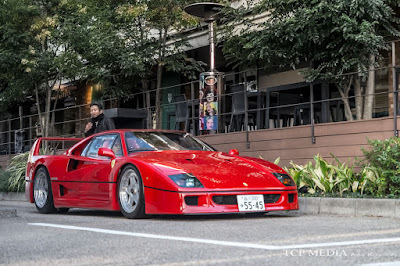 Definetely not something you see everyday here in Japan. Being able to hear this monster come to life as it was leaving the meet was a bonus. 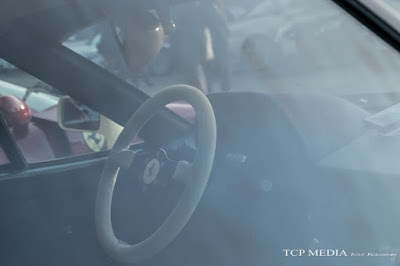 Burnouts are not welcome in this part of town, unfortunately. 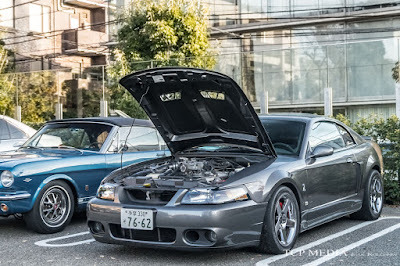 Supercharged V8's are pretty rare in this part of the world. 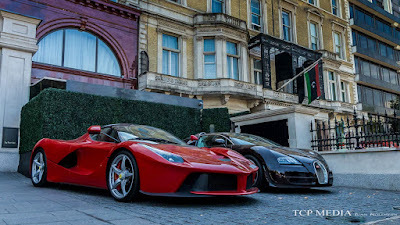 This meet wouldn't be complete without a fare share of Italian cars. 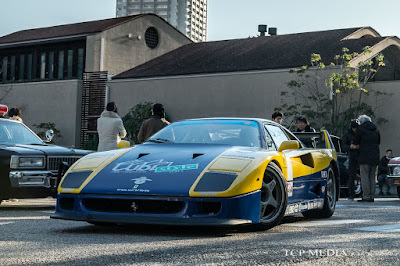 this yellow/blue combo reminiscent of 250GTO was first time to be seen by many enthusiasts, including myself. 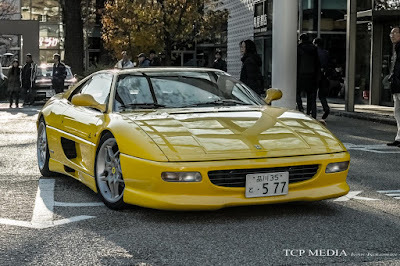 Rumors say that it appeared at some local magazines int he 90's, but this is completely unconfirmed. 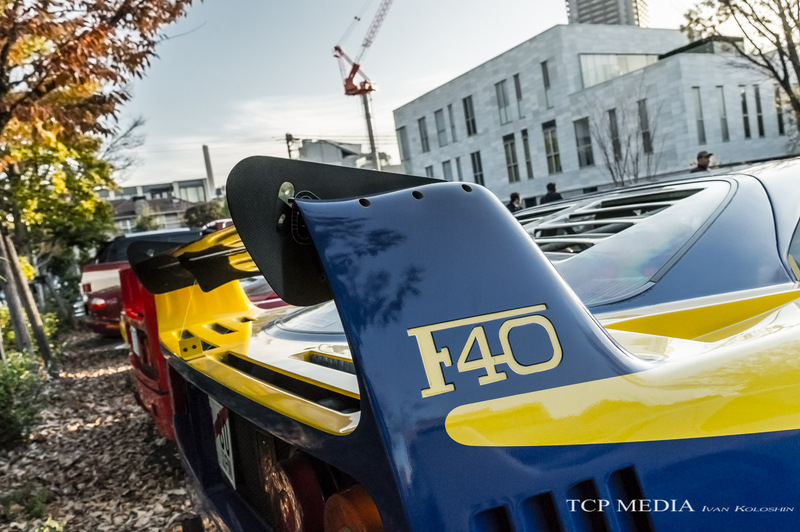 Lightweight alloy wheels, low stance, and this adjustable spoiler suggest that it's a GT version of the F40! 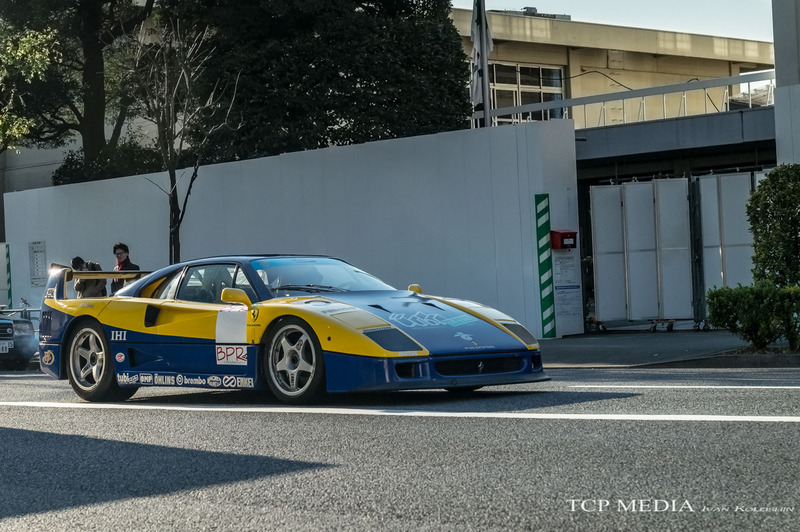 Whether it was a real car or ordinary F40 (if there ever was such a thing) converted to GT look, it was, it was a perfect opportunity to have a closer look at what appears to be a real track monster. 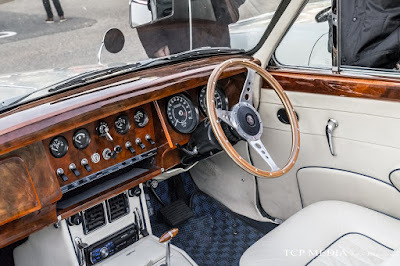 A quick peak into interior revealed a sporty cabin extending the body color combination into the cabin. 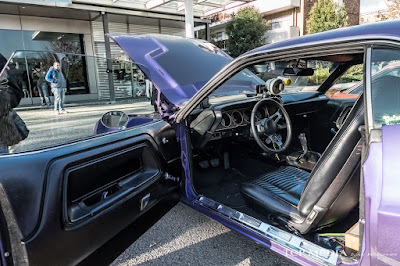 A set of racing bucket seats sealed the deal. 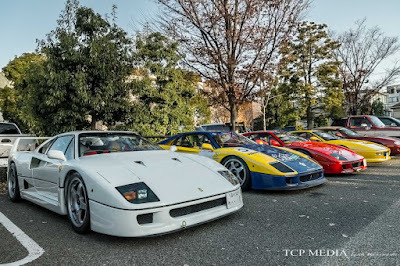 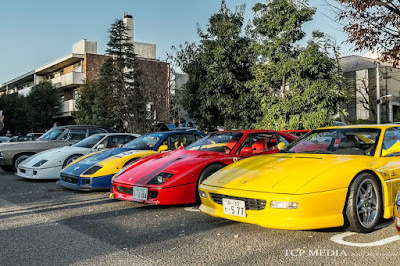 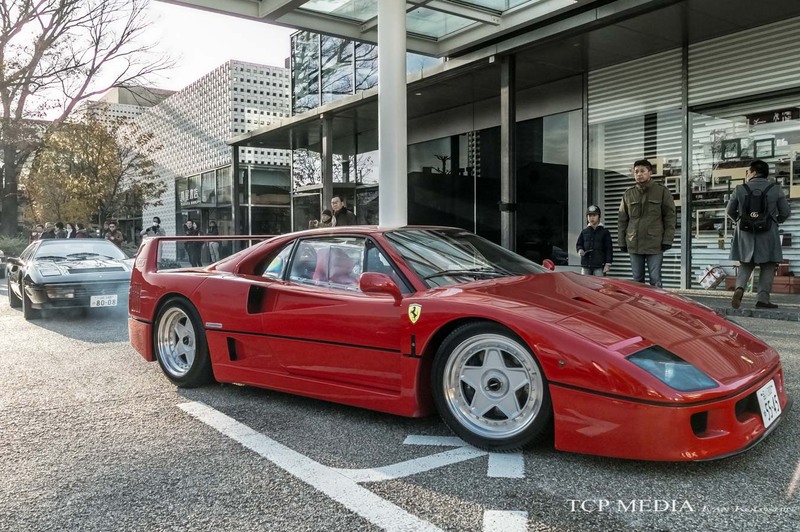 They say that total of 59 F40 were imported to Japan. I recon a lot more were brought to Japan unofficially since then, and this is why we are treated with such sights every now end then. 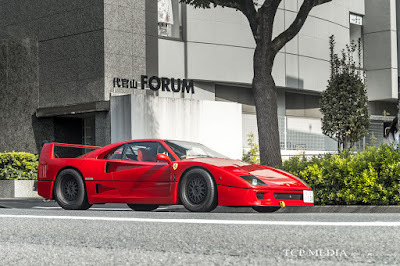 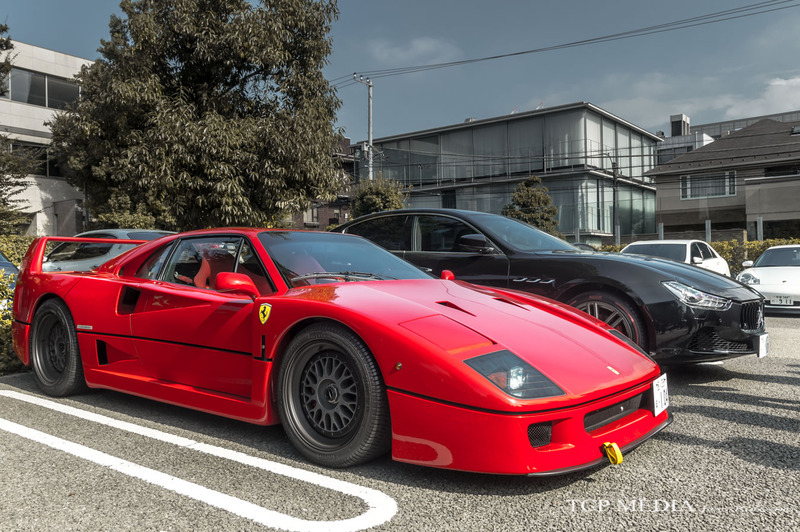 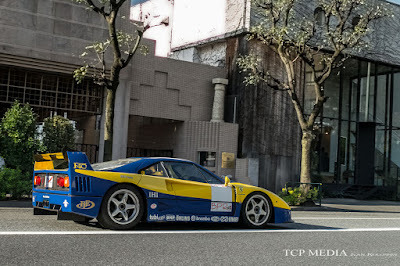 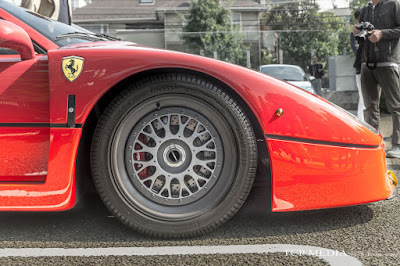 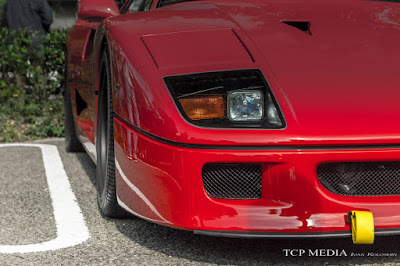 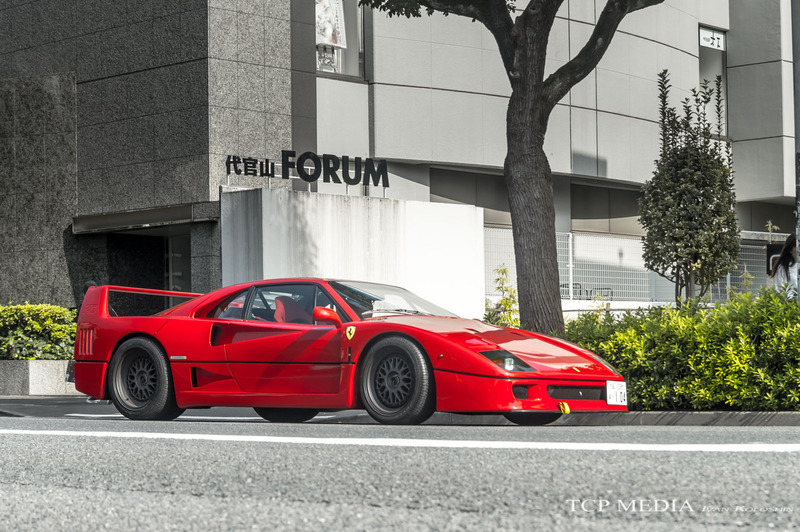 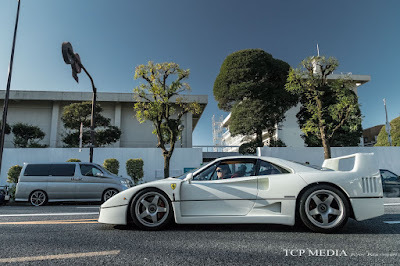 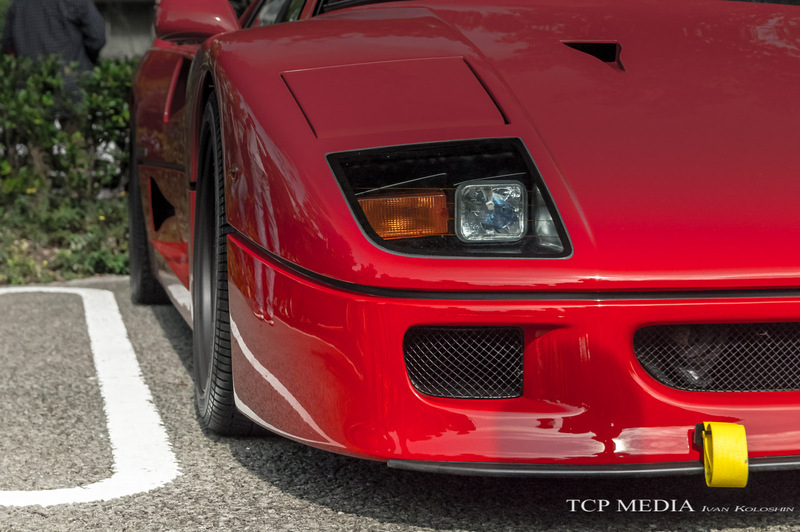 Few owners take their F40's out for a spin on special occasions such as this, but most of the time they sit in ventilated garages in Central Tokyo, and this is a shame, because when Enzo Ferrari put his last ever stamp of approval for the F40, he approved them to be driven, and driven hard! 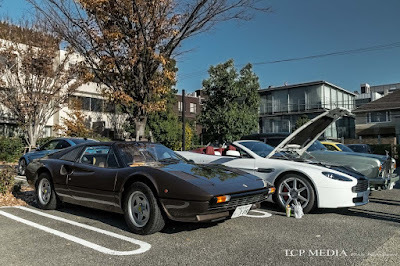 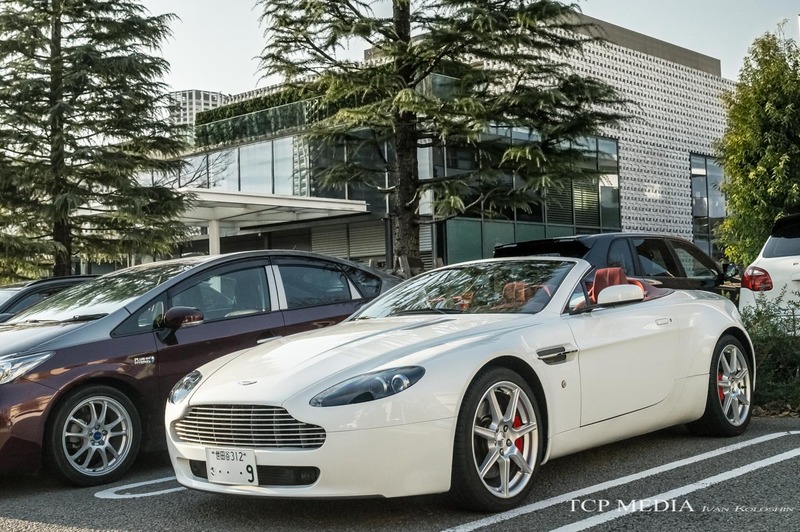 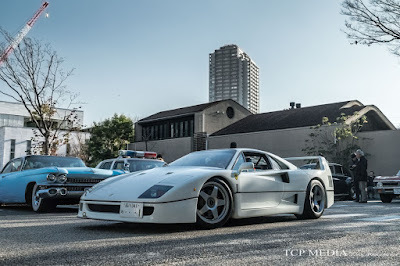 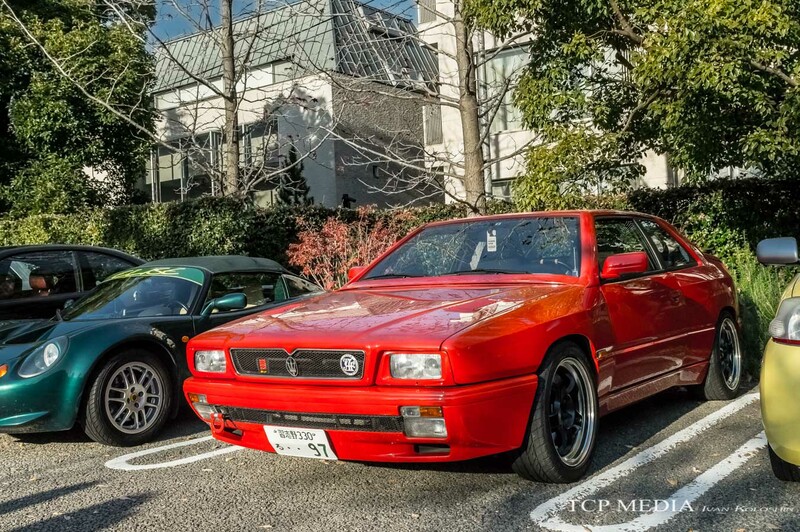 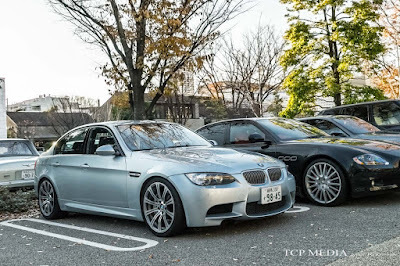 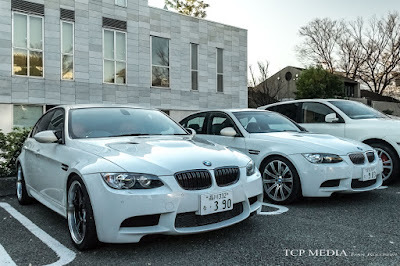 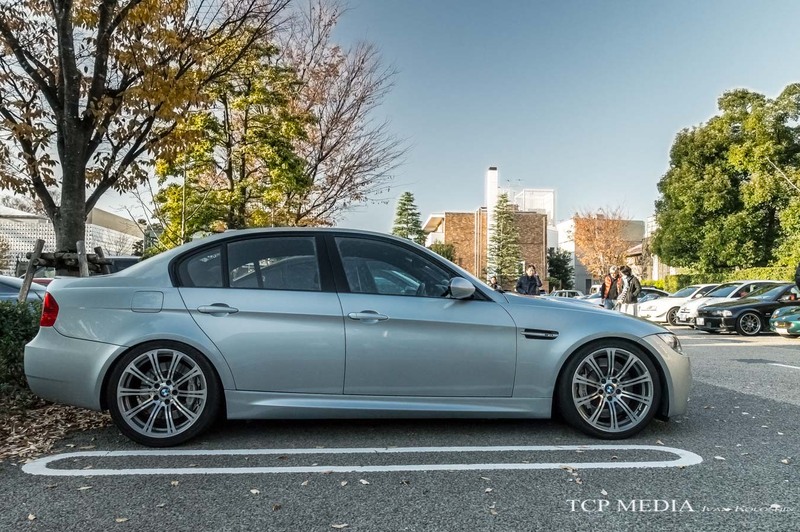 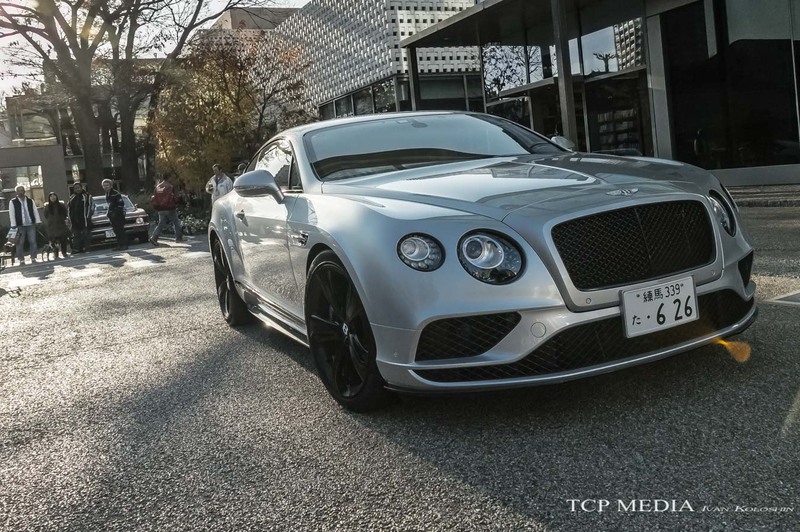 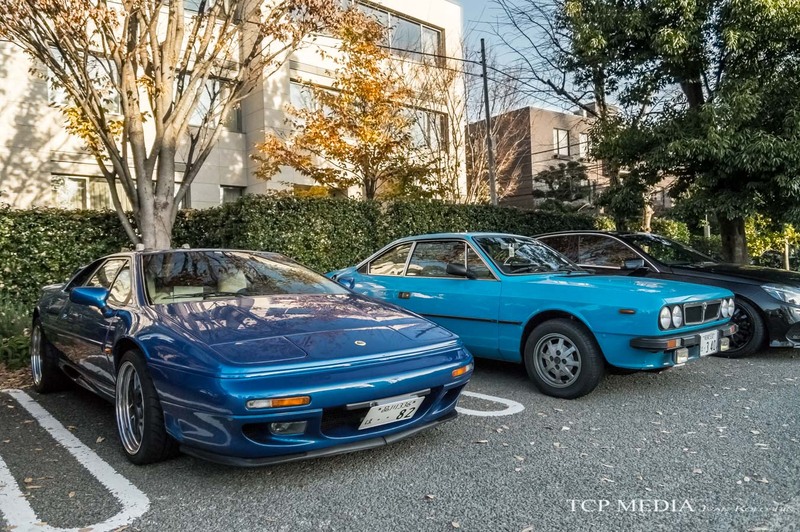 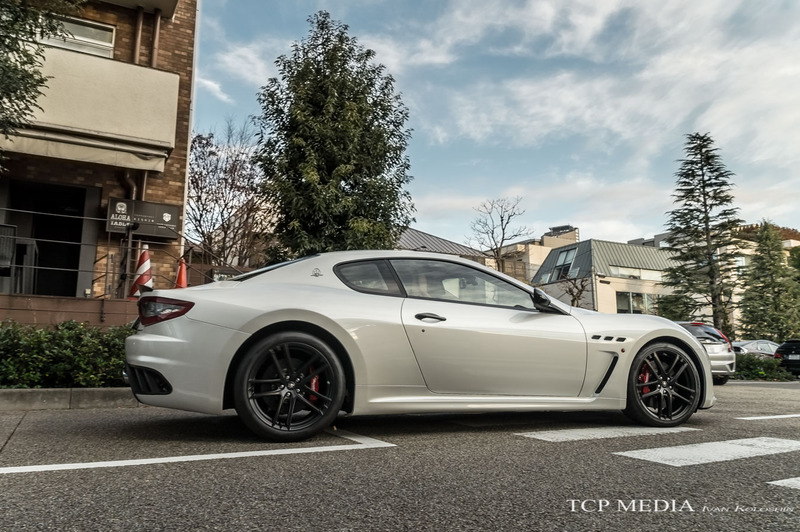 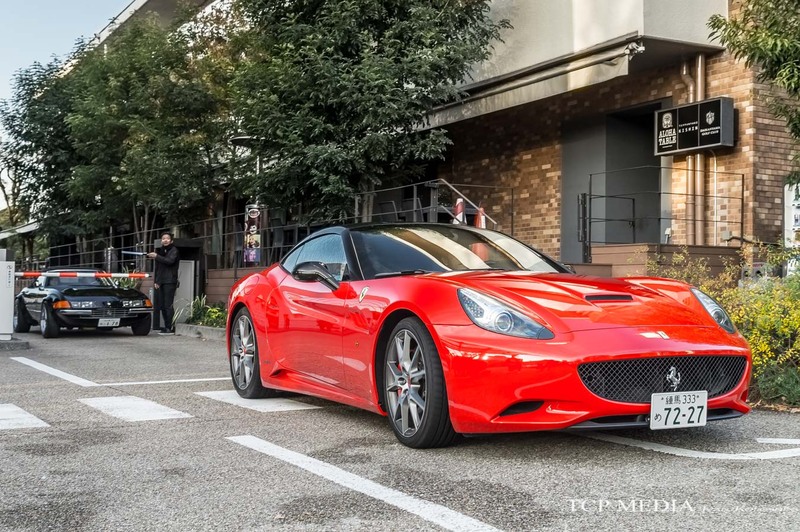 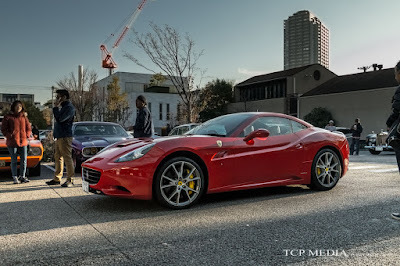 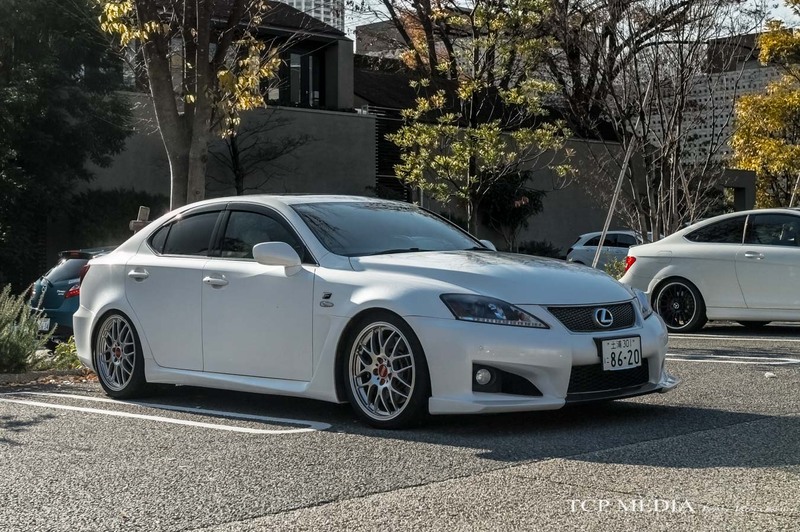 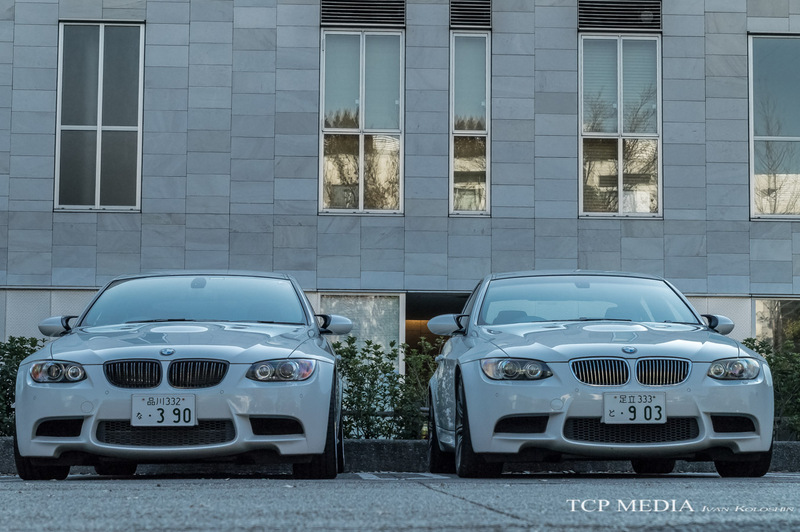 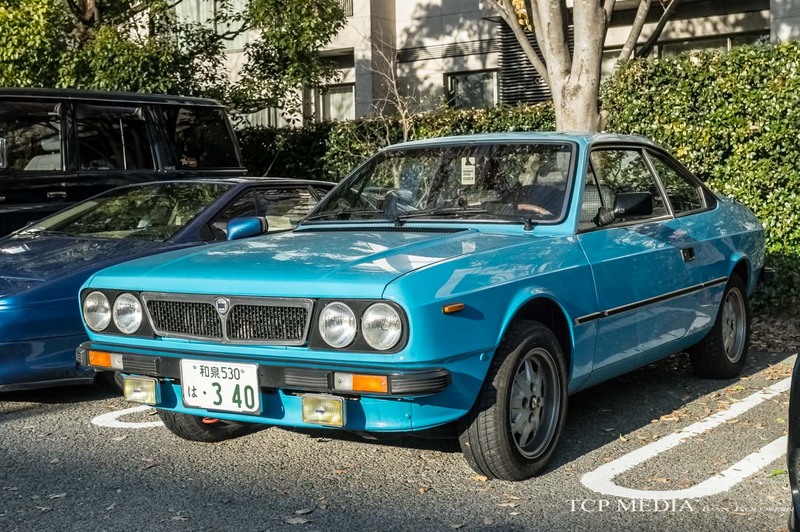 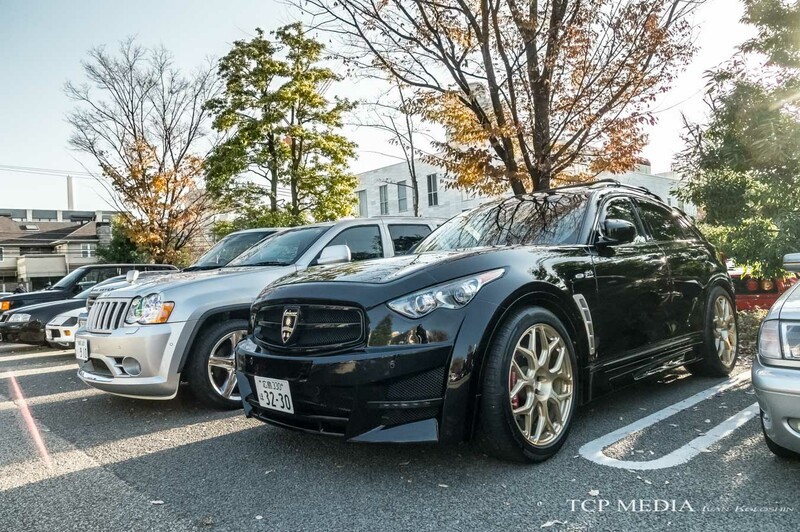 On this, we will conclude this coverage of one extra-ordinary cars and coffee even in Daikanyama T Site. 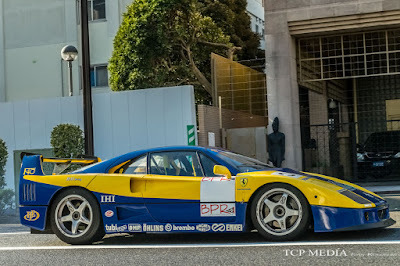 Please scroll down for a lot more images and check back soon for another update!